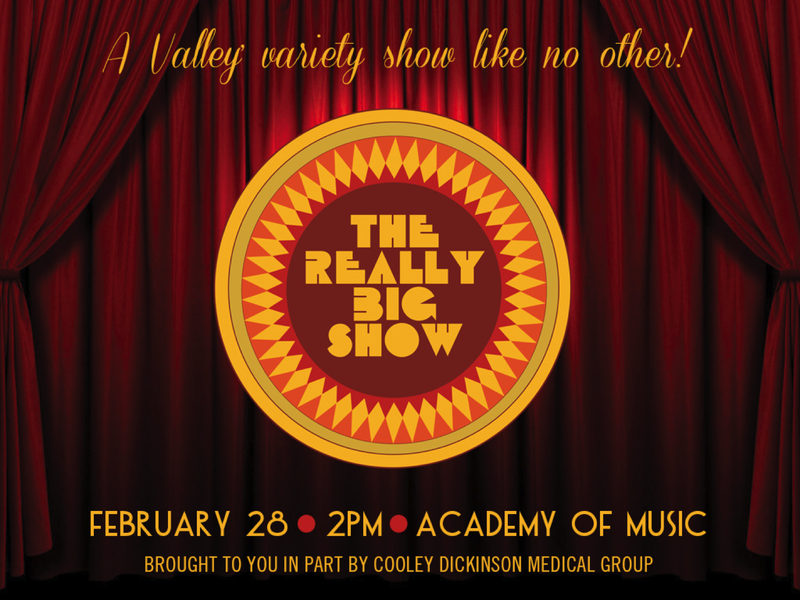 A showcase of the BEST local talent at the Valley’s FAVORITE variety show in the Pioneer Valley’s MOST BELOVED theatre! 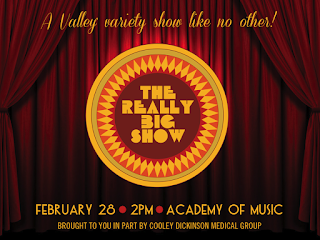 Part I: Dr. K’s Roadside Storytime sets the stage for the Really Big Gong Show this year, stitching the written word of late legend Kurt Vonnegut and others into a show-and-tell medley of local performers, featuring also original compositions by Phish drummer, Jon Fishman. Part II: Steve Westfield of the Pajama Slave Dancers hosts the Gong Show with music from the Really Big Show orchestra led by Jim Armenti. Appearances from the School for Contemporary Dance and Thought, Peter Blanchette of the Happy Valley Guitar Orchestra, fiddler Zoë Darrow and a variety of surprise performers. Enjoy witty quips by our celebrity judge panel featuring comedian Pam Victor, Northampton Police Chief Jody Kasper, WRSI - 93.9 The River radio personality Monte Belmonte. Win prizes! See your friends and loved ones display their talents! What celebrities will be featured this year? Will they get gonged off stage?